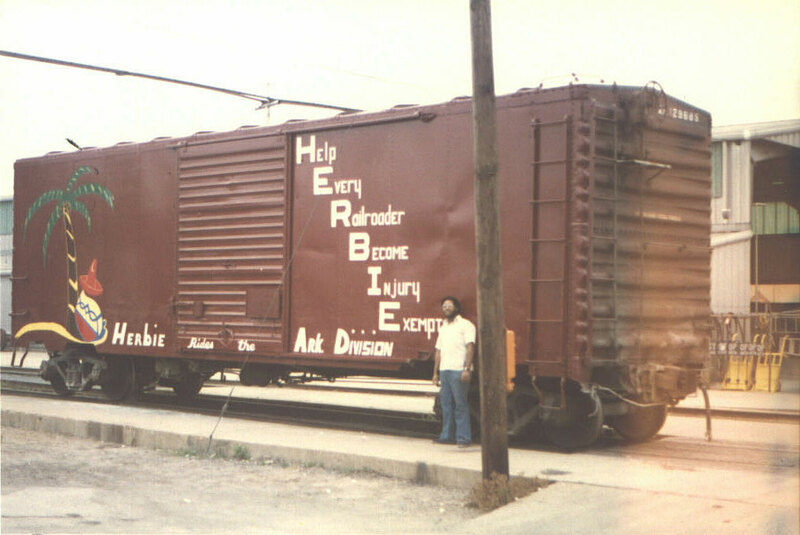 The MoPac's HERBIE (reporting marks 'Herb -1') car - a converted 40' boxcar with the slogan "Herbie Rides the Help Every Railroader Be Injury Exempt Division," was often paired with East One (see below), a converted combine/caboose for promoting rail safety as part of the instruction car fleet. There was not one but two HERBIE cars, and the symbolic car went through revised paint schemes (two different MP heralds placed in different locations). Herb-1 was also in active service after the merger on the UP system, complete with a UP shield to replacing the MP eagle/buzzsaw. In 1979 the Arkansas division safety committee held a contest for a new safety slogan to be used on safety posters. A carman in Memphis,TN named David F. Newborne who was also a amateur artist won the contest. 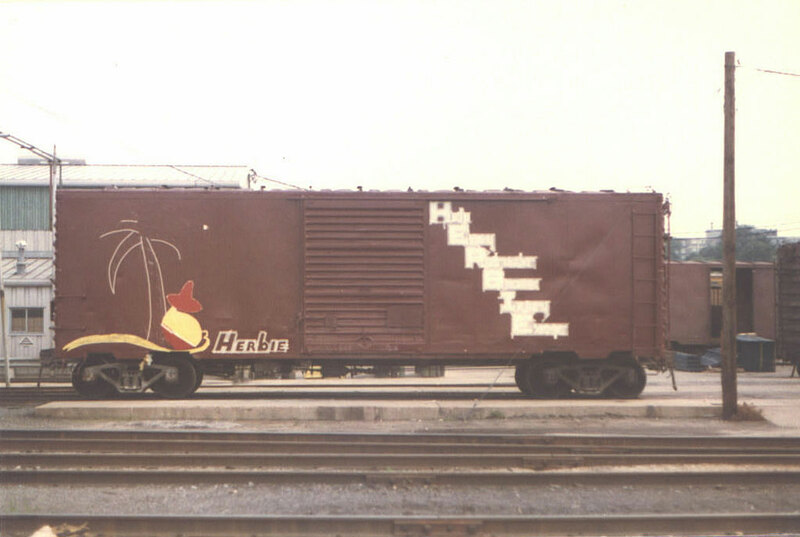 The committee liked the Herbie idea and his artwork so much that it was decided to paint it on a boxcar to tour the system. 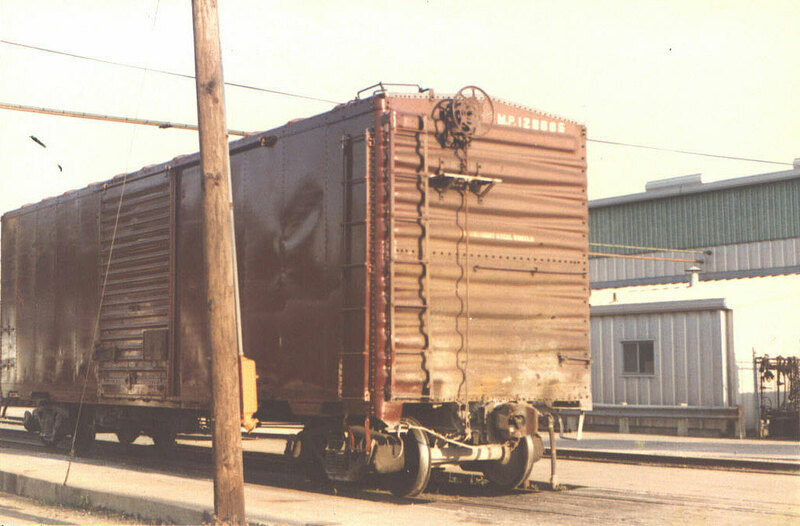 So boxcar numbered MP 129685 was spotted infront of the repair track in May of 1979. Several of us carmen painted the sides of the car boxcar red.Ê David painted and lettered the Herbie on the sides of the car. 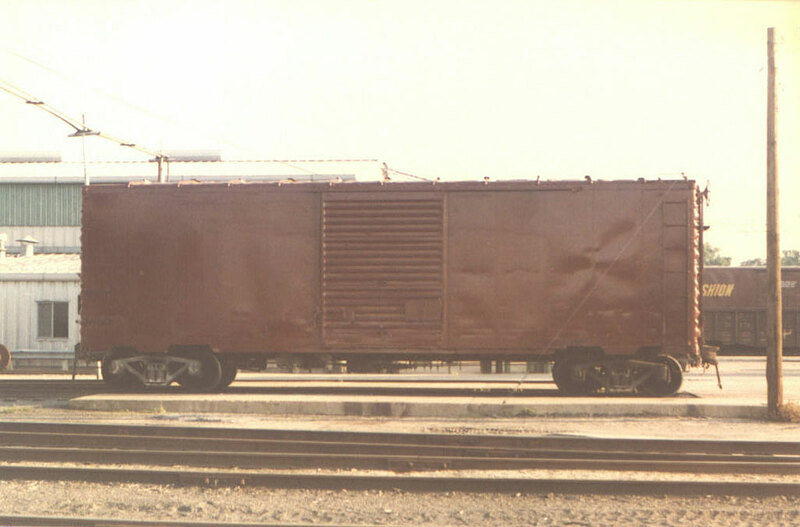 After the UP-MP merger another boxcar was painted in the Herbie scheme. We stand corrected thanks to J. Freeman! 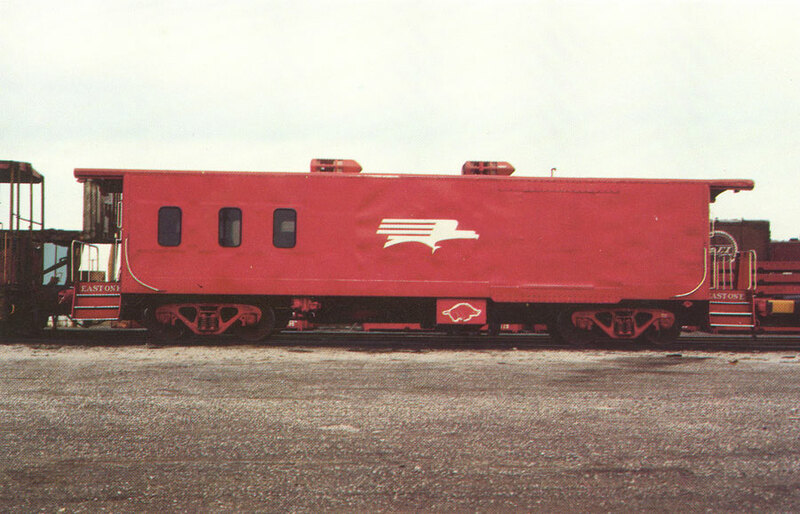 The MP & UP HERB-1 were not the same car, but actually two different boxcars. It is not clear if the "HERB-1" reporting marks were used on both. Graffiti History 101: Just Who Was Herbie? 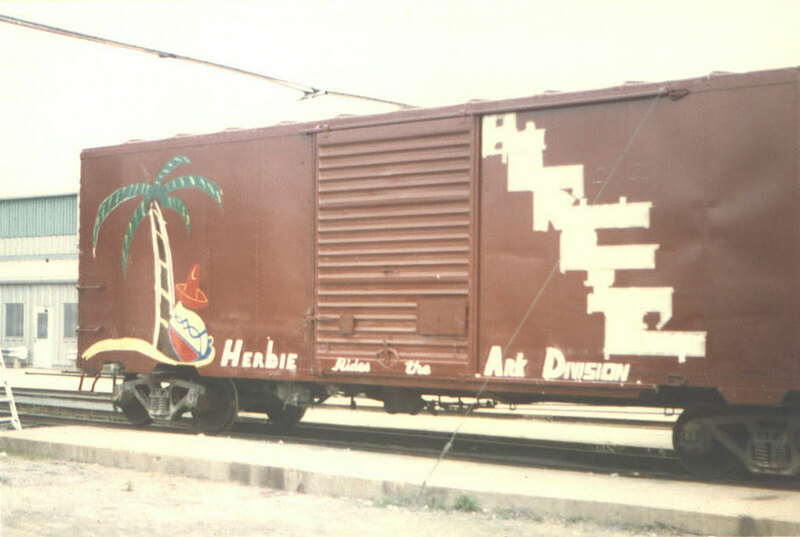 The Herbie drawing began appearing first as graffiti art on freight cars - a large number of these being owned by the Mopac. 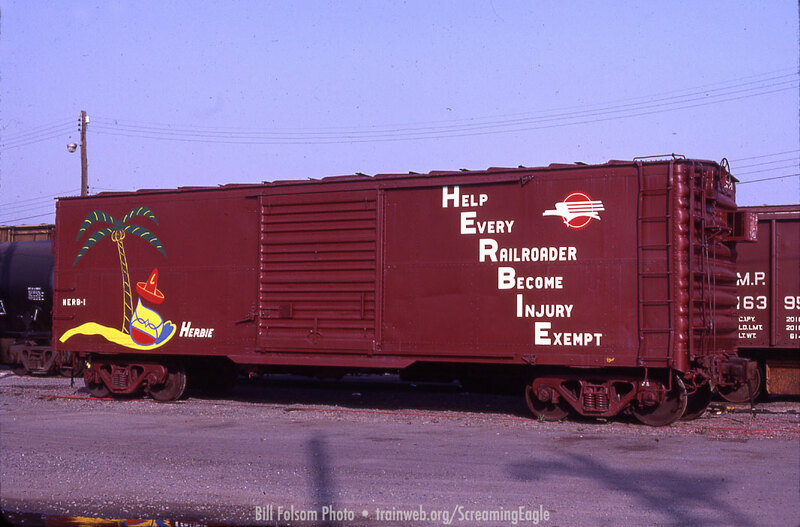 The Mopac later adopted the art for use with a safety slogan on a boxcar stationed out of Little Rock. It is still in use on the Union Pacific R.R. today. Herbie Meyer was the original artist behind the fellow enjoying his siesta under a sombrero resting against a palm tree drawings. The name Herbie followed by a date was always under him. Herbie worked as a switchman for a yard and transfer company, other than Missouri Pacific, somewhere in the St Louis area, possibly the TRRA (one story has it that he was a switchman on the Wiggins Division of the TRRA in St Louis). He died December 9th, 1995, when he was in his eighties. He is now a legend in the graffiti community, as more and more practitioners are researching the history of railroad graffiti by railworkers and hobos, and they are finding his prodigious output of drawings on the railcars had an apparent omnipotent presence in vast railroad network for over three decades. "A story that appeared in the Brotherhood of Locomotive Engineer's Newspaper back in the early 80's told that Herbie was a Car Inspector that worked in the St Louis, MO area for either the Terminal Railroad Association of St Louis or Alton & Southern, but I cannot remember which one it was for sure now. He retired around 1980. All images & text © 2008 T. Greuter / Screaming Eagles, unless otherwise noted. All Rights Reserved.